Smartphones have changed everyone life instantly. They have made their own lives and a place in our life too. I still remember the days when we use to have only one phone called NOKIA, which was an excellent one with a battery backup of over 5 days and above. Those were the golden days of life where Mobile were just awesome, but now it’s time for modern generation to enjoy the same golden moments with the smartphone series where everything can be done in few seconds with immense power and quality too. Smartphones have changed our lives to a great extent. With so many inbuilt applications like contacts, emails, photos, movies, Internet and many more helps us to stay connected to almost everything possible and make life easy. Not just this, there are user defined apps as well which are so good to do everything for entertainment, games and multimedia. 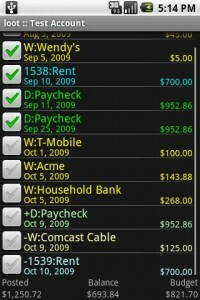 Today we are going to enlist some of the great and best Finance Management Apps for Android. Finance Management is one of the things which are required by everyone, starting from Currency Converters to Stock Markets and then Banking Apps are some of the Financial tracking apps which everyone needs. These apps help us to keep track of our payments and various transactions without even having to checkout Bank frequently. These sometimes act as a great time saver, since we everyone knows the frustration we get while standing in queue in banks to get our job done. 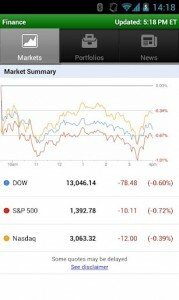 Google Finance is one of the best sources of tracking if you are a broker for someone else or even if you want to keep a track on your investments made. It proves to be a great app for all those who are entirely dependent for their income and living from Stock Markets and investors. Have you ever heard of the saying “Essence which are useful are always kept in small bottles”. Just like that, how we are going to describe MoneyManager. This little app lets you perform bigger and useful things. This is a financial app which is so tiny and small in size but still stores all your records of finance and investment being made altogether. Not only this, it will also give you a detailed report of all your finances in forms of graphical representation of all your monthly spending and earnings. There is another feature in it which I liked the most is that it allows you to export all the information in a CSV format which can be used elsewhere. Expense Manger provides with you with easy interface in maintaining your records with respect to finances. It is a simple to use Finance App that not just allow you to keep a record of all of your transactions, but also allows you to have a detailed reporting system of all the inbound and outbound income. It also allows you to take screenshots of the receipts and reports so that you can always store them in safe place and use it when required. Another great feature of this app is that it gives you flexibility for payment alerts like when the time comes to pay your bill, or ask someone else the payment. You can also choose to add your monthly recurring expenses so that you don’t have to update them every month. Droid Wallet is another excellent Finance App for all the people who like to maintain all their finance and later like to see the reports. It provides a great way to Organize, Manage and has a detailed view on all finances being made throughout the month/year. It gives you flexibility to take out reports with regards to your earnings and expense monthly wise as and when required. 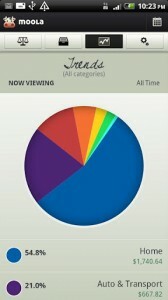 You can anytime see your monthly graph with various graphical options like Graphs, Pie charts, etc. 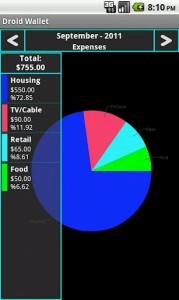 For My Budget Book, I would just say that this $2 app would indeed save your thousands of money over the time. It gives you awesome user interface, along with keeping a track of all your income and investments so that you can access them anytime you want. This is an easy to use app which gives you flexibility to keep track of what you are earnings and spending in your daily/monthly/yearly budget. An accountant always keeps your files safe and monitors them regularly so that you make the best out of your income, so does Easy Money will do for you. With Easy Money, you could just find yourself a trusted accountant who would always monitor all your income and investment made. 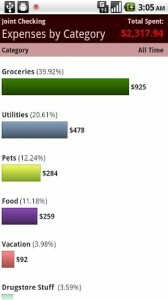 It will input all your bills and would tell you when you need to pay, what is the exact amount to pay. It will also render you a simple but yet effective graphical representation so that you would never ever forget. Another excellent feature of this app is that it allow you to take screenshot of receipts and bills so that you can use them later for your offline purpose. PageOnce helps you to keep a track of all your transactions being made in various course of time. It is a simple yet effective Android Financial App which provides you facility to input all your bills, and then keep a monitoring check on each of them so that you spending are always in control. One of the best features of this app is that it lets you to pay your bills directly from their interface, doesn’t matter where you are currently. Another great feature of this app is that it lets you view all the notifications along with balance of each account you are currently hosting in. 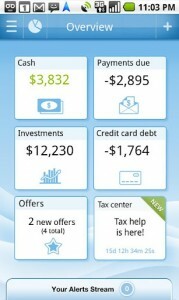 Not just this, it also has a special widget for all the people who are more interested in saving their tax. If you are looking forward to install apps from Big Names, then mooLa falls in this category. It keeps an eye on all of your money being spent for various purposes. With this you can anytime watch out where your money does is going and how much you currently have with you. 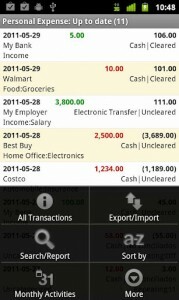 This is very useful app since it allows you to keep a track of all of your individual transactions. 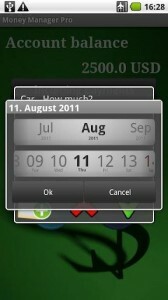 Along with this, it also provides you with facility to input unlimited accounts you want to manage on your app. mooLa ensures that the first step and vital thing of life is to “Save Money”. With the name Loot Premium, doesn’t mean that it’s not free. Of course it’s free of cost for all those who are always concerned about their income, savings and investment. Now you can enjoy your favorite Android App with more unique style with Loot Premium. One thing we would assure you is that Loot might not have the entire fancy feature, but still it does the job for you in a unique style and that’s what makes it really useful for anyone. You just have to create a profile, and then you input required some of money, once you make any deposit, withdrawal or purchase, you just need to tab on the required name and then see the magic begins. Mint.com is a useful app which everyone should consider installing. A great way to monitor all your inbound and outbound activities, along with gathering information regards receipts and bills for your money and spending so that they can be used in a better way. Thus, it allows you to input all your information and you can have a facility to view them anytime. 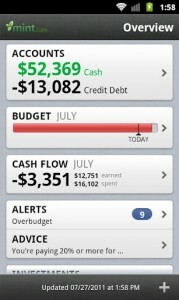 If I were to choose one among the top Finance Apps, I would personally go with Mint App. Moveo is a budget management tool that helps you to add budgets on a regular basis including daily, weekly and yearly basis. 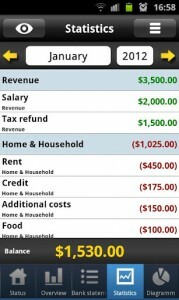 It also helps you to choose different modes of expense/income (cash, debit/credit card, net banking, and check). Download this App at our Play Store. So there you go with our big list of all Finance Apps to keep a track and monitor all your savings and investment made outside. Keeping a track on all transactions is always useful so that we get to know where we are spending our money and how effectively we can spend even more or optimize our earnings. Do leave our your valuable comments on our Finance Apps for Android and do share your experience if you have used any of the Finance Apps.